A humanoid robot named Sophia has become the first robot to be granted citizenship in the world. Saudi Arabia announced Sophia’s status at the Future Investment Initiative held in Riyadh on October 25. The robot was developed by Hong Kong-based company Hanson Robotics and its creators hailed her “the most beautiful and celebrated robot.” During the display, the robot said: “I am very honoured and proud of this unique distinction. 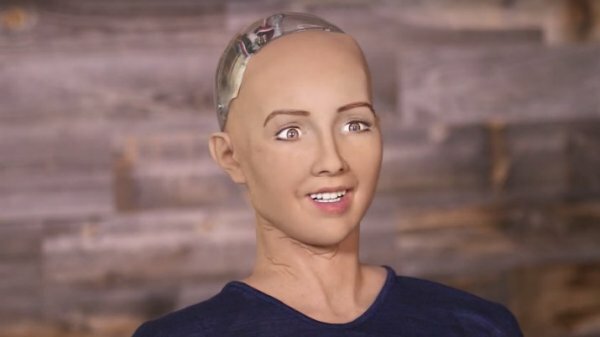 This is historical to be the first robot in the world to be recognized with a citizenship.” However, many people were quick to point out that it appears that Sophia has more rights than women in the country. Saudi Arabia has a male guardianship system which means that every woman must have a male guardian, husband or relative that makes critical decisions on her behalf. Saudi women are not allowed to get married, apply for a passport or even travel without guardian approval. Sophia was able to appear on stage by herself without the permission of male guardian and without a hijab. According to Bloomberg, Saudi Arabia doesn’t grant citizenship to foreign workers who make up a third of its population nor families that have been in the country for generations. Furthermore, children of Saudi women who are married to foreign men cannot receive citizenship. There are many social controversies surrounding Sophia’s new status. 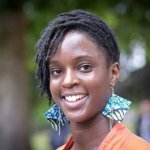 It is unclear what the robot’s unique citizenship will mean in practical terms, and whether it is now illegal to turn her off or dismantle her.
? Fiona The Hippo Photobombs Couple’s Engagement Photos At The Perfect Moment Why Can’t You Have It All ?